The Superyacht Engineer Learning Curve How Did You Learn? The decision to pursue a career as a superyacht engineer requires a commitment to learning a vast array of skills and principles. The superyacht industry consists of engineers from a number of backgrounds. 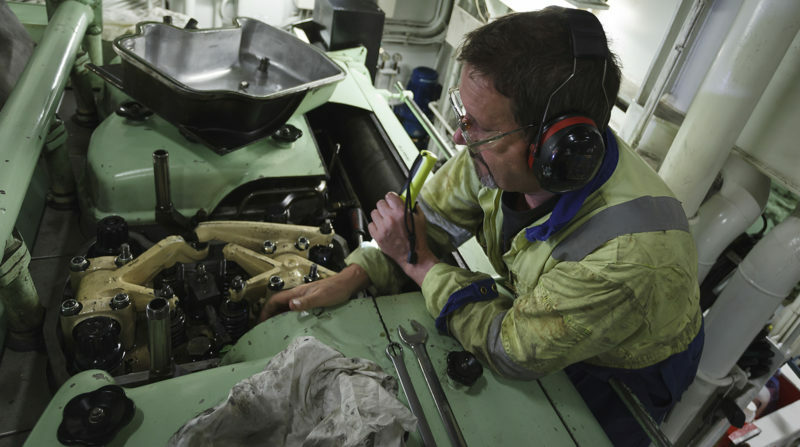 Merchant sailors, trades men and women, technicians as well as university graduates are just a few of the backgrounds we see in our industries engineering talent. What is common throughout all superyacht engineers is at some point we all had our first day. The point at which our learning curve started. It may have been when you were 16 or 46 but all engineers have experienced the process of learning from scratch, the fundamental skills required to be a successful engineer in this industry. Yacht engineering qualifications were introduced in February 2001 to provide an industry standard system of certification. The current M.C.A. structure of engineering licensing allows us to categorize engineers into classes of knowledge and understanding in relation to a specific set of milestones and testing criteria. The Y classification, as we know it, is now common throughout most of the global superyacht industry. Insurance companies use the Y classification as a guideline to ensure an engineer meets a certain level of technical understanding or experience to allow them to perform the vessels maintenance and safety procedures. Most engineers will have the motivation to advance through as many milestones as possible in order to obtain higher paying positions and in some cases, positions on larger vessels that offer rotational possibilities. That being the case, we would like to discuss what is the fastest route to obtaining the fundamental knowledge and skillset to not only advance through the Y classification, but also become a technically advanced and well rounded engineer. 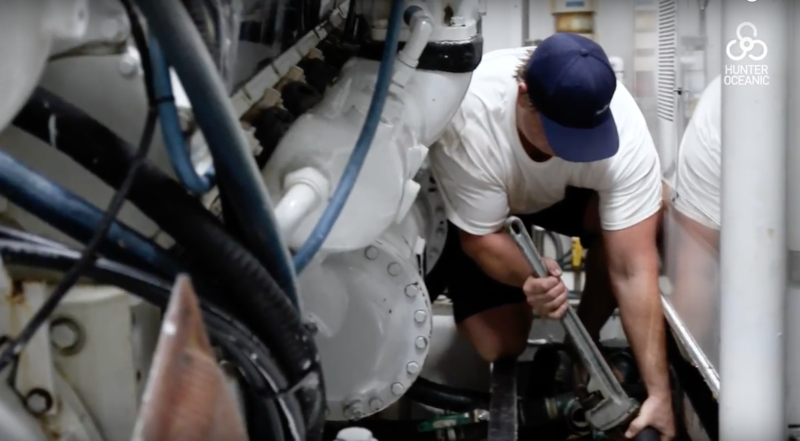 There can be no doubt that working as a junior superyacht engineer underneath a skilled chief or 2nd engineer can fast track the learning process. Any engineer worth their salt will see the value in the knowledge and advice given by senior crew members and understand the value of learning from people who have runs on the board. Many of the issues an engineer may face are not new. Someone, somewhere more than likely, has experienced the issue before. The notion of tapping into a senior crew members experience can bring great benefit to a junior engineers understanding and perspective. However, this may not be the only path to obtaining the knowledge needed to propel a junior superyacht engineer into a senior position. After walking the docks and learning of many engineers backgrounds, there appears to be a reasonable percentage of senior engineers whose first jobs were on smaller vessels are sole engineers. This experience is vastly different to the previously mentioned route of working underneath a chief or 2nd engineer. This experience requires more contractor engagement, often providing the communication between contractors and the captain. In most cases, a sole engineer will be responsible for initial troubleshooting. Once an issue is diagnosed, the process of sourcing an appropriate and commercial viable contractor begins. This will often involve sourcing multiple quotes and provide overall management of scheduling and resources. In terms of the knowledge obtained under this model – well, that depends again on the engineer and the value he or she places and observing, absorbing and asking plenty of questions of the contractors they work with and leveraging off their expertise. The industries best engineers are those who are open to continual learning and improvement. Whether that is through adopting a new technology, upskilling through courses or the sharing of experiences between colleges, the industry is moving quickly and so must our level of understanding in order not to limit in industries rate of advancement.